This volume recognizes the rapidly expanding research linking aging, age-related diseases, and the delicate balance between neurodegeneration and cancer. Wide perspectives on aging are covered, ranging from metabolic and cellular interventions in aging, oxidative stress resistance, protein folding and quality control, as well as the troublesome relationship between prevention of chaperonopathies and the risk for cancer. Explores current research linking aging, age-related diseases, neurodegeneration, and cancer. This book is ideal for Graduate students and researchers in the fields of biomedical gerontology, cell and molecular biology, neuroscience, and oncology. 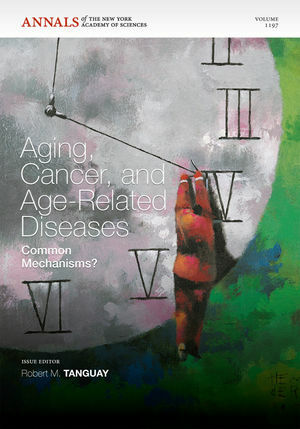 Robert M. Tanguay is the author of Aging, Cancer and Age-related Disease: Common Mechanisms?, Volume 1197, published by Wiley.